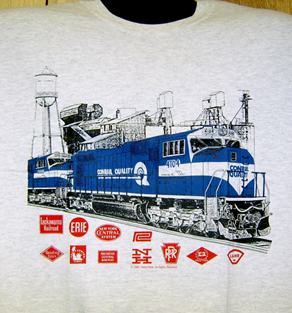 The Consolidated Rail Corporation was created in 1976 by the merger of several Northeast Railroads. Was very successful and made money for its stock holders. 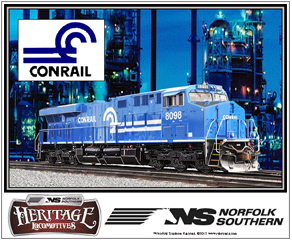 One of the CONRAIL Railroads last diesels before being purchased by the CSX and NS Railroads. 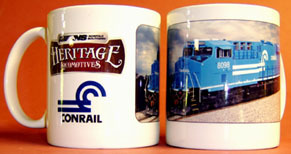 CONRAIL stood for Consolidated Rail Corporation. 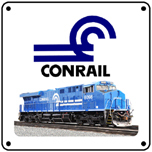 6 inch x 6 inch square tin logo sign of the Consolidated Rail Corporation or CONRAIL.